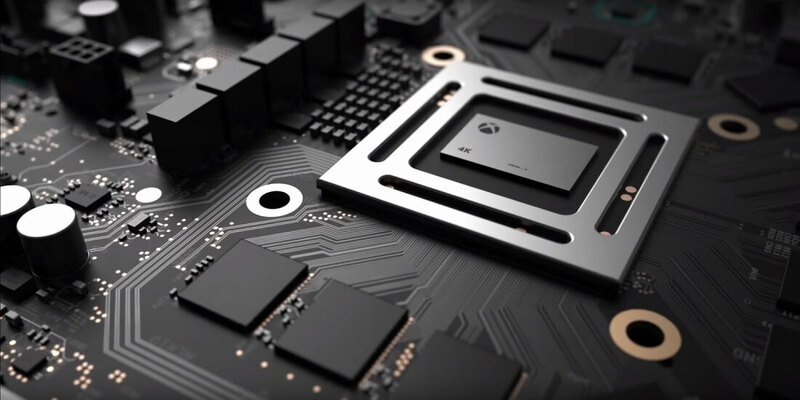 Microsoft's upcoming Project Scorpio game console is primarily focused on delivering enough power for 4K gaming, however it will still provide significant benefits for gamers on 1080p TVs, according to a recent report from Windows Central. In games that are updated or built for 4K gaming and Project Scorpio, those with 1080p TVs will reportedly see noticeable improvements to image quality compared to a standard Xbox One. This is because Project Scorpio employs supersampling technology, rendering games at a higher-than-1080p resolution before downscaling to 1080p. Supersampling is the best form of anti-alisasing as it helps remove all forms of jagged edges that you'd normally see when rendering the game at your display's native resolution. Running supported games on Project Scorpio at 1080p will result in smoother edges and shadows, as well as increased sharpness. Those with 4K displays will get all the benefits of Project Scorpio. Windows Central claims the console has a 4K Blu-ray player and supports HDMI 2.0a with Wide Color Gamut and HDR. A "sizeable lineup" of first- and third-party games will support "True 4K" resolution on 4K displays. For games that aren't updated to support 4K, the extra horsepower in Project Scorpio will automatically run games better than the Xbox One, without needing to enable a 'Boost Mode' like on the PS4 Pro. According to this report, games that use dynamic resolutions will hit their target resolution more frequently on Scorpio, while frame rates will more consistently hit their target, resulting in fewer frame drops and stutters. Windows Central also mentions that at Scorpio's launch, both the Xbox One and Project Scorpio will support Shader Model 6, a new API for shading that should improve efficiency on both consoles. Project Scorpio will be released during the 2017 holiday period. The Microsoft Store already has a product page for Scorpio, although you can't pre-order or buy the console just yet.